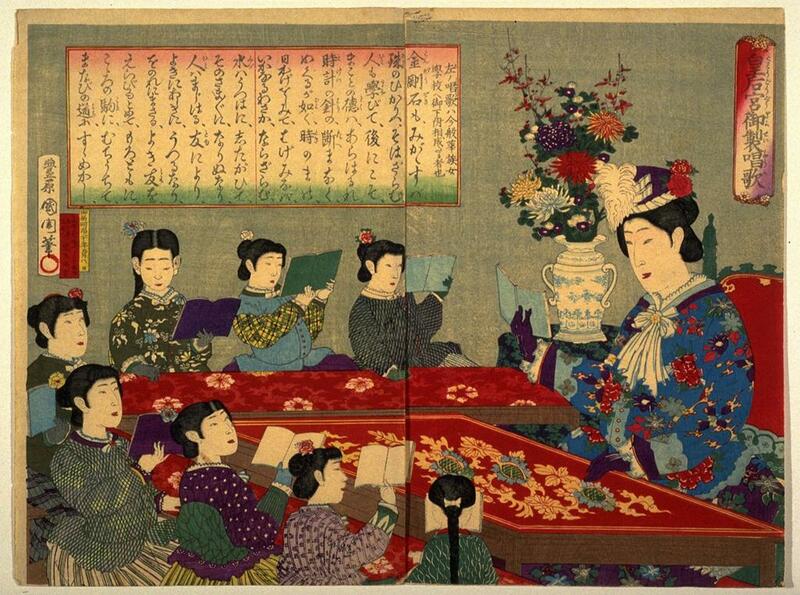 "The Meiji Empress Teaching Children to Read"
Welcome to the Class of 1945 Library. This guide will help you research your History 208 project. Click on a tab above to see all of the relevant sources that are available in the Library. If you have any questions, please ask the Librarian at the reference desk for help! STEP 3: Search for primary-source documents written at the time of your topic. These can be found in the Library's databases. A COURSE RESERVE has been set up for this class because so many students will be working on this research paper at the same time.